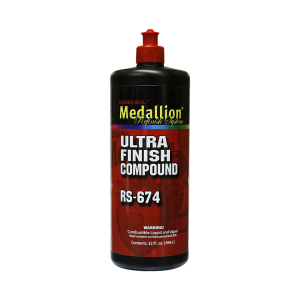 Ultra Finish Compound removes 1500 grit scratches on fresh paint. It is a solvent-based, sling free formula with low heat production and it will quickly and efficiently remove sand scratches. This product cleans up easily with a burst of compressed air. it does not contain silicone and won’t leave a greasy film.